The key to selecting your ideal temporary visa is going to be related to your circumstances. What is important to note generally about these visas is that they are only eligible for durations between three months and four years. Bearing this limited time period in mind, it is important to decide whether you would like to come to Australia as a student, temporary employee or a visitor to friends/family. Once this determination is made, one can then submit their proper documentation to apply for their ideal visa of choice. To start your search, it is highly recommended to visit the Australian Immigration homepage to educate yourself about the various visas to Australia or to hire an Immigration Lawyer in Australia to help you to process your visa application. Who Can Apply to This Kind of Visa? Depending on your country of origin, there is a basic process to obtain a visa as a temporary visitor in Australia. Typically, the benchmark amount of time that is available for visitors to legally stay is three months. It is important to follow the precise terms and conditions of this visa in order to avoid future problems with immigration should you decide to pursue living in Australia on a more permanent basis. The temporary visitor visa allows you to participate in tourism, visit family/friends, undertake the basic search for employment, attend professional conferences or study for up to three months. The primary factor of this visa is that one many not work for a salary under this visa. If a tourist would like to stay in Australia for longer, they are going to have to apply for an employment visa through an employer sponsoring their application. Australia is quite generous in their student visa offerings. In fact, they even offer a parent or guardian of students to live legally in Australia while the student is studying. In order for the student themselves to be eligible for a student visa, they have to be at least six years of age, have been accepted to study at an educational institution in Australia, and must have health insurance. Students have the potential to stay in Australia for up to five years, they may work part time, and pursue the study of their course. For a parent or legal guardian of the student, they have the potential to stay in Australia until the student turns eighteen. The key to the parent/guardian visa is that they have to have enough capital to support themselves without working. They also have the potential to study for up to three months as well should they desire to do so. For citizens of New Zealand, there a special class of student visas that have no time limit available to explore due to the close relationship between Australia and New Zealand that are absolutely work considering for those who qualify. Temporary Work Short Stay Specialist Visa: This visa is designed for an individual that has a very high level of expertise that cannot be found inside Australia. On this visa, it is possible for the individual to stay for typically up to three months, although six month stays can be granted on a case-by-case basis. The key to obtaining this visa is to be invited by an organisation that requires your expertise. Temporary Graduate Visa: For international students that have recently graduated from an Australian educational institution, there is a potential to stay legally in Australia and work. The applicant must be under fifty years of age and be working in a profession that matches the skilled occupation list. 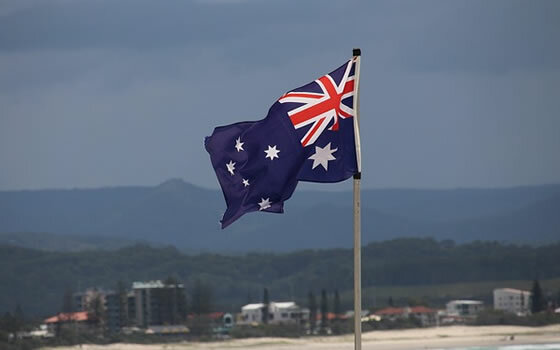 Work and Holiday Visa: One of the more popular visas is the Work and Holiday visa in Australia. The key to obtaining this visa is to have a nationality that is eligible for this relationship with Australia, be eighteen to thirty years of age, meet the education/English level requirements, have the support of your home country government, and not have come to Australia previously on a working holiday visa. This visa is value for up to one year and has the potential for multiple entries. You are permitted to work your whole visa, but have to work with one employer for a maximum of six months. Studying on this visa is also possible for up to four months. Skill Regional Provisional Visa: This visa is designed for skilled workers to have the right to work in a specified region of Australia. The key to being eligible for this visa is to hold a subclass 496, 495, 487 or 475 visas. Once you are invited to apply you have to pass a points tests, have a relevant skill, and be under fifty years of age at the time of application. This visa is valid for up to four years and provides the work and/or study in a particular region of Australia. Temporary Work International Relations Visa: Depending on the nationality, there are several agreements in place for government workers. Depending on the country of origin, one can stay for up to two years on a Government Agreement Stream, for up to four years on a foreign government agency stream, and a seasonal worker programme stream for up to four or seven months. Skill Recognised Graduate Visa: This particular visa is geared towards individuals that have graduated with an Engineering degree recently and desire to obtain work experience in Australia. The key for a successful application to this visa is to be under thirty-one years of age and to only intend to stay for eighteen months. Temporary Activity Visa: This is a multi-faceted visa that allows individuals to work in the entertainment industry, as a religious worker, domestic worker or be a crew member. Depending on the line of work, the individual must have the skills to carry out the intended work. For a specific event, the duration is three months maximum. For participating Australian government activities, the maximum stay is four years. Australia is a delightful country to apply to in terms of visas because they have a very digitalized system that makes the process quite intuitive. For many temporary visas, it is wise to have your evidence of financial support ready for you. Additionally, it is essential to be sure that you utilize the government site to your advantage and search for the requirements for your home country and age group. There are different requirements for each of these options and putting in the incorrect field could be a major issue for you. That being said, in the case of Australia, it is important to note that the application is entirely available online and can be processed both from within and outside of Australia. In rare cases, an in-person interview at the Australian consulate may be required. All in all, Australia is a country that has a very receptive policy to immigration. The key to having a positive experience whilst on a temporary visa there is going to be related to going about the whole process in an ethical way. If you are able to do this, you will find that you will have an incredible amount of success with your Australian visa application. The Australian government is aware that they have a shortage of labour in certain industries. For this reason, being a skilled worker opens up a great deal of opportunities within Australia. In addition, being a student is also a great opportunity to gain the possibility of staying in Australia as a skilled worker in the long term. Depending on your circumstances, it is wise to understand that it is quite simple to apply for a temporary visa in Australia and have a tremendous experience while in Australia.